When Kupha joined Jameelah’ Vineyard Academy, learning was quite a challenge to her. Now she is one of the best students in number work. She dreams of being a doctor in future. 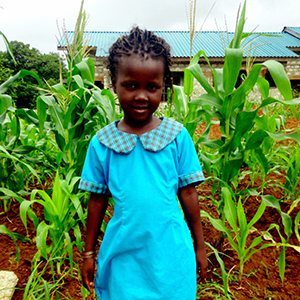 School provides stability and nutritional resources for Kupha.